Re-imagined and Refurbished in 2018 with a multi-million dollar makeover, the Harbor Court reveals 131 contemporary rooms and suites presenting a distinctly modern style with an edgy, urban vibe with upscale luxury amenities. Harbor Court is a San Francisco landmark on the most scenic stretch of downtown San Francisco’s waterfront and also facing the city’s vibrant soaring skyline. 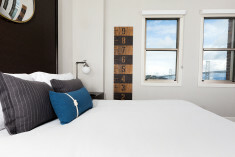 Many of the rooms and suites have unobstructed views of San Francisco Bay and the Bay Bridge. The Harbor Court offers a wellness center and full-service fitness club with an Olympic-sized pool available to guests. San Francisco is one of the most romantic cities in the world! 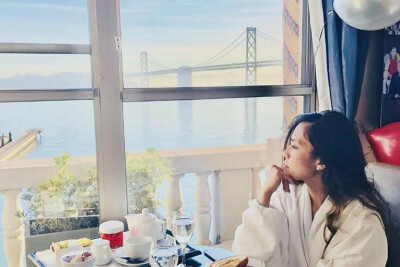 We’ve got our mystifying fog, rolling hills, unmistakable views, and a spectacular bay bridge light show every night that can be seen from the Harbor Court Hotel's bay view guestrooms. The Penthouse Suite is one of San Francisco’s premier suites featuring floor to ceiling windows offering unparalleled bay views. Harbor Court beds are furnished with plush Frette bed linens made from the finest fibers and rooted in a heritage defined by Italian craftsmanship creating a perfect ambience for a romantic getaway or elevated business trip. The Penthouse has a beautiful appointed connecting Bayview guest room to create a spectacular two-bedroom suite. Guest rooms are fashionably furnished with upscale amenities and have beautiful bay, city, or courtyard views. All guest rooms at Harbor Court have HD televisions, Soundfreaq Bluetooth music alarm systems, Tuch Tablet digital directory promoting a green environment, honor bars, massaging shower heads, and Malin + Goetz bath and body products. There’s so much to love about San Francisco, sometimes we don’t know quite where to begin. 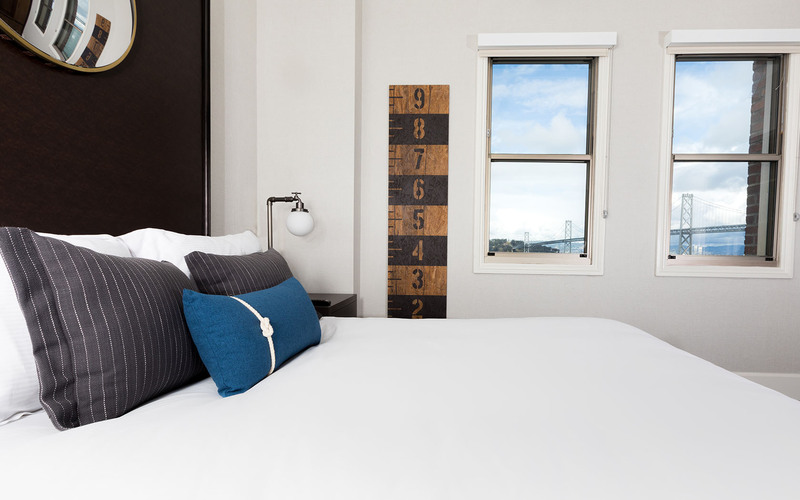 Phenomenal cuisine, vibrant neighborhoods, incredible festivals and those stunning bay views – well, let’s just say you can’t go wrong with a guest room at our waterfront hotel just steps from the Embarcadero. Captivating artists, history buffs, foodies and tech titans, the City by the Bay takes hold of your heart and never lets go. San Francisco's waterfront hosts the cities best culinary delights along with breath taking views to complete setting. So to sate your appetite and set the mood for the most romantic dining experiences, each one perfect for a first date, random Friday, Valentine’s Day, Wedding or an anniversary dinner. The critically acclaimed, Ozumo restaurant is housed at Harbor Court offering an excellent Japanese dining experience in a chic space with an extensive sake list, craft cocktails, chef's omakase and a sushi bar. Ultimate Romantic Weekend, leave all the details to us and celebrate! Contact me to personally assist you in making your romantic stay the most memorable ever!